Hi! My name is Alanna Raffel and I am an occupational therapist and accessibility consultant. I graduated from the University of Maryland with dual degrees in Psychology and Dance and from Thomas Jefferson University with a Master of Science in Occupational Therapy. I have worked as an occupational therapist in acute rehab, early intervention ages 3 to 5, outpatient, and school-based settings. I have facilitated accessibility in a variety of ways including autism-friendly Broadway performances in New York City, open captioning at People’s Light in Malvern, and organizing mapping events to collect data on physical accessibility. 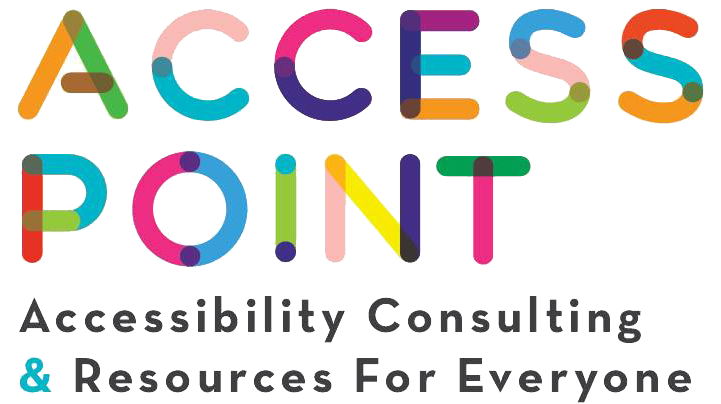 My company, Access Point, strives to increase inclusion in Philadelphia and beyond by advocating for access, creating solutions, and promoting awareness of accessible opportunities for people with disabilities and their friends and family.